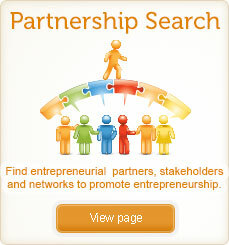 Entrepreneurs and budding entrepreneurs do not join this portal to gain in terms of financial benefits or increased business: but what they do gain is the ability to affect change more swiftly; benchmark their thoughts against other like-minded individuals; publicise their entrepreneurial projects; highlight their initiatives; and contribute to change on a global scale. An Envoy is someone who wants to personally learn, improve themselves and their communities or environment, whilst at the same time contributing to the knowledge and support of others. How wonderful it is that no-one need wait a single moment before starting to improve the world. 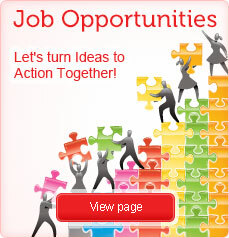 Realise an Idea – register with our Ideas Counter so we can achieve our 7 billion goal! Uphold the right of access to good service providers Rate my Experience! 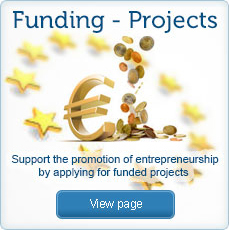 Each month one member will be selected from their contributions to either the Ideas Counter, Surveys, Questionnaires, European Entrepreneur Barometre or other communication with us, and have their idea or business featured. We will seek the Envoys with the most compelling stories that others can benefit from. It might be a great Idea into Action, it might be an example of overcoming a roadblock to success, or it might be unravelling some form of bureaucracy. We are particularly keen to learn of Envoys that have accessed public funding for projects – it’s so frustrating when politicians, quango’s and service providers talk about all the finance available, yet very few are able to access it. If we can help to publicize the route to this funding, we will. We are also keen to see entrepreneurs that have negotiated through bureaucracy and ‘red tape’. Again, if we can help through sharing those stories with our Envoy community, we will affect useful and meaningful change. But Envoy of the Month can also be selected for the breadth of their vision, or the merit of achievement. As well as being featured on the website, we will also list the individual Member of the Month recipient for each month during the announcement of the Global Entrepreneur Envoy Awards (Europe), a free-to-enter competition open to all envoys. The awards recognize exemplary achievement in 16 categories and many carry prizes of help and support enabling winners the opportunity to turn Ideas into Actions. So share your stories of success with us, and see if you can become Envoy of the Month – and remember, even if you are not selected as the winner, your experience is invaluable, and it may get published elsewhere within the site. So submit your story Now!